Styling your hair is a wonderful way to highlight your fashion style. 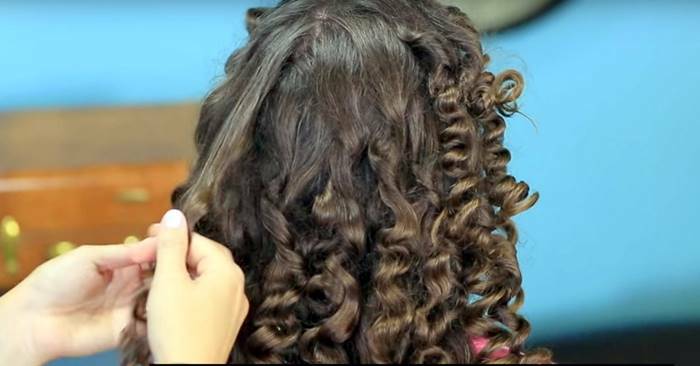 Do you want to make perfect hair curls at home? You may use various heated products such as curling irons, hair blowers and hot rollers to achieve your desired result. Although these methods can save your time, prolonged heat exposure can cause potential damage to your hair. There are many natural ways to curl your hair without heat, such as using a headband, socks and toilet paper. Here is another ingenious curling technique. In this tutorial, Mindy from YouTube channel Cute Girls Hairstyles is going to show us how to make no heat hair curls using paper towel. It might sound weird at the beginning, but it really works! It’s very similar to the old-fashioned rag curls technique that your grandmother may have used before. All you need is a brush, a comb, a spray bottle and 1 roll of paper towels. This is a really easy and simple beauty hack to achieve beautiful voluminous curls without heat. Follow the video and learn all the details. Enjoy! Visit iCreativeIdeas' profile on Pinterest. Get More To Your Inbox!